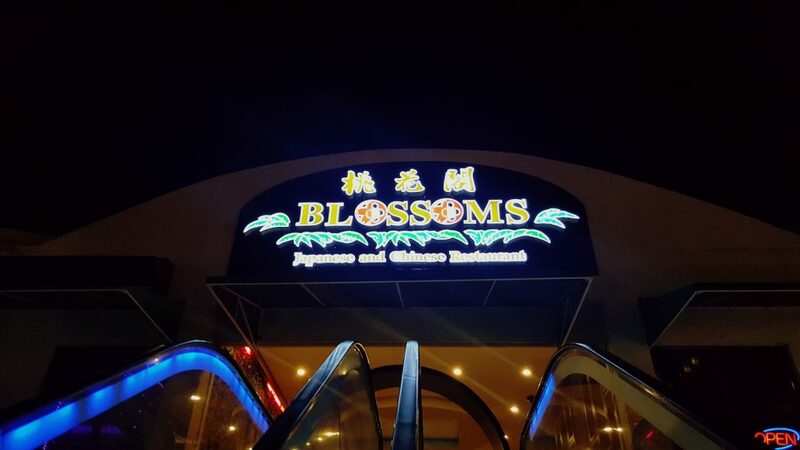 Blossoms has been serving up delicious Chinese and Japanese meals for many years on the beautiful island of Aruba. Now, by popular demand, Blossoms is pleased to announce the expansion of its exciting Teppanyaki offering by tripling the number of Teppanyaki Table stations from two to SIX in the form of three double islands! What is a Teppanyaki Table? The Teppanyaki Table is a truly unique dining experience. Many people think that the Japanese Hibachi Grill and a Teppanyaki Table are the same thing, but they are different in a few key ways. Hibachi uses an open-grate barbecue grill with a charcoal or gas flame for cooking. In Teppanyaki, by contrast, a solid-surface cooking griddle is used. The reason this distinction is important is because the solid-surface griddle allows for a much wider range of ingredients to be used, including eggs, rice and other smaller ingredients that would just fall through an open-grate grill. However, in popular usage, everyone tends to consider “teppanyaki” and “hibachi” as interchangeable, so don’t be surprised when people use either one to describe the kind of experience we offer here at Blossoms. The word teppanyaki is derived from different Japanese words, including “teppan” (the metal griddle used for cooking) and “yaki” (which means pan-fried, broiled or grilled). The word “hibachi” literally means “fire bowl” because the small containers used to hold the burning charcoal first started out as bowls lined with a heatproof material. Teppanyaki is a relatively recent development in Japanese cuisine, dating back only to the mid 1940s. It has never been especially popular in Japan itself, but is hugely popular with tourists, which is why Teppanyaki table offerings have sprung up all around the world. Interested in other aspects of Japanese food? Check out the Japanese Cuisine page on Wikipedia! Why did Blossoms Triple its Teppanyaki Offering? The answer to this question is simple: People love watching the food they are going to eat being prepared right in front of them. Teppanyaki has evolved over the years into something much more exciting than a mere meal – it is a true performance for which chefs must go through a lot of training to perfect. Manual dexterity and a warm, engaging personality are a must, and the Teppanyaki chefs at Blossoms never disappoint in either aspect, including surprising pyrotechnic displays of soaring flames as they chop and grill a meal fit for royalty before your very eyes. You might even accept an invitation to try your hand at Teppanyaki cooking alongside our expert chefs! 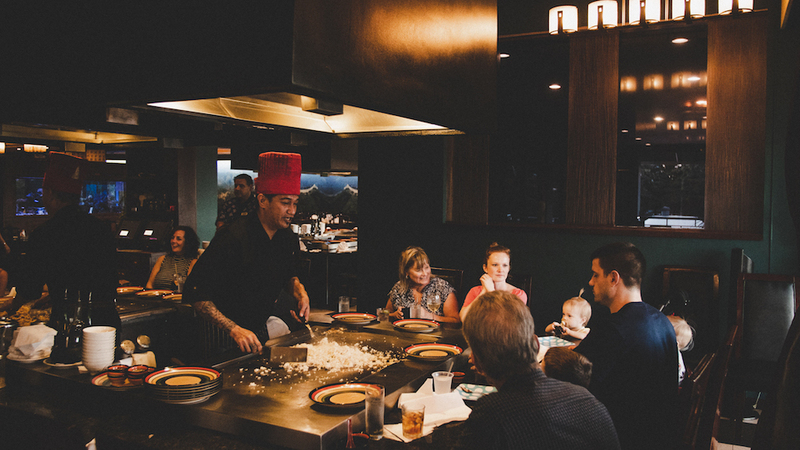 Our three indoor “islands” for Teppanyaki are each a double-grill arrangement that can accommodate from 16-20 guests per island, so it’s a great option for larger groups of family and friends! 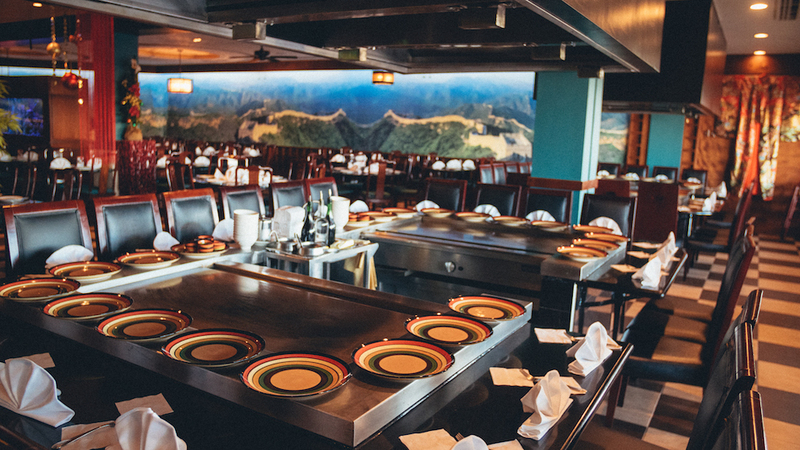 If you have never had the pleasure of participating in a Teppanyaki Table dining experience, be sure to book one while you’re enjoying the tropical paradise of Aruba! We ask that you please call +297 586-3388 to make a Teppanyaki reservation. In order to accommodate all reservations at the Teppanyaki Tables, keep in mind that the total seating time is 1.5 hours beginning at your reserved time. Please be on-time! We can only hold your reservations for 15 minutes into the appointed time. Learn more about what meals you can enjoy on our Teppanyaki page. Come join us for dinner experience you’ll remember for years to come! We are nearing the end of the third month in our new location, having opened our doors in mid-April. Moving an entire restaurant operation as carefully crafted as Blossoms is not easy! 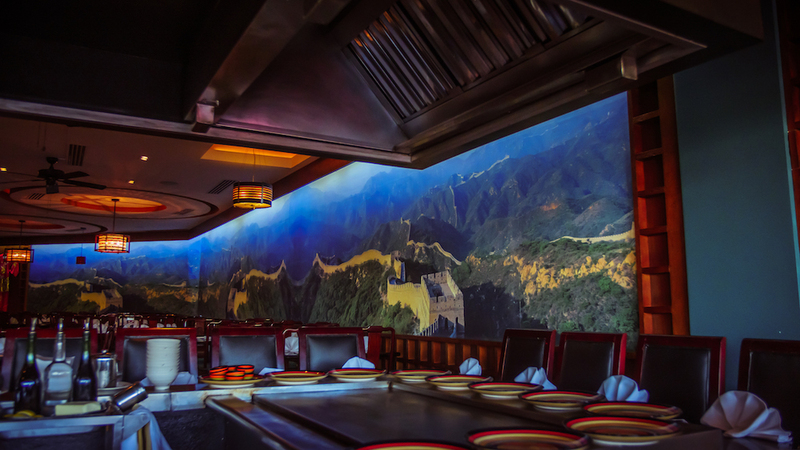 We’re still experimenting with the best interior layout, creating private room dining options, and preparing our gorgeous fish tanks and waterfall features, but you won’t notice any of that when you come for your culinary adventure through Japanese and Chinese cuisine! We spent many happy years at our previous location and had no intention or desire to move. But when ownership of the resort changed, life became increasingly difficult for us and eventually intolerable. It is our hope that justice will be served through the courts to bring final closure to that difficult transition time. Rather than dwell on the negative, however, we are embracing what promises to be a bright future in our new location! Your favorite venue for Japanese sushi, sashimi, maki rolls, Teppanyaki and every Chinese dish imaginable is now found on the second level of the South Beach Centre in the heart of Palm Beach. But don’t worry – you don’t have to climb any stairs because a pressure-activated escalator will promptly and conveniently deliver you to our front door! 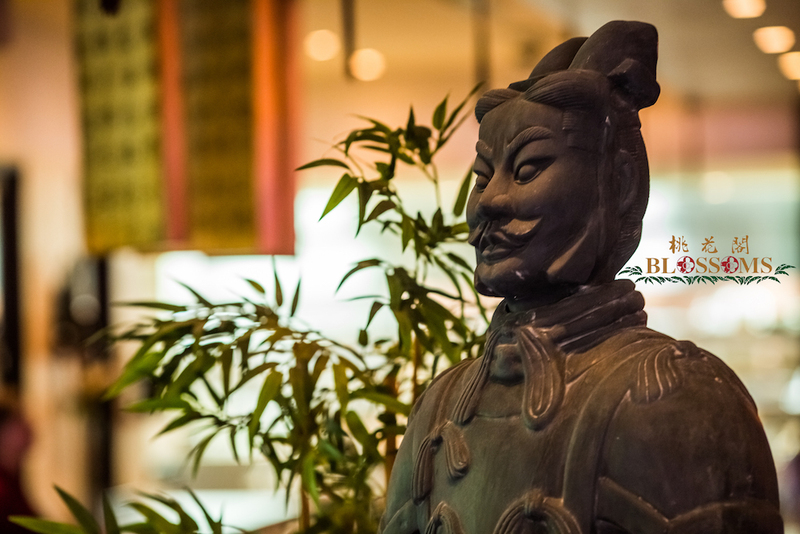 As always, we have carefully placed all our Terracotta Soldiers throughout the restaurant, both inside and out, because your culinary adventure at Blossoms simply wouldn’t be complete without their watchful gaze. They’re very good about letting us know if anything is amiss! Do you know about the origins of China’s famous Terracotta Army? It’s a collection of sculptures made to accompany the first emperor of China, Qin Shi Huang, when he died around 210 BCE and protect him in the afterlife. First discovered by farmers in 1974 who were digging a water well, latest estimates in 2007 revealed more than 8,000 soldiers, 130 chariots pulled by 520 horses and another 150 cavalry horses! Additional non-military terracotta figures have been found in other pits nearby, including musicians, strongmen, acrobats and officials. Teppanyaki is a particular style of Japanese cuisine where the food is prepared on a flat-surface grill. The word itself is derived from teppan (meaning iron plate) and yaki (meaning grilled, broiled or pan-fried). The advantage of Teppanyaki over grate-style grills in the restaurant setting is the ability to handle a wider array of small ingredients that would otherwise fall through into the open flames, including rice, eggs, and more finely chopped meats and vegetables. 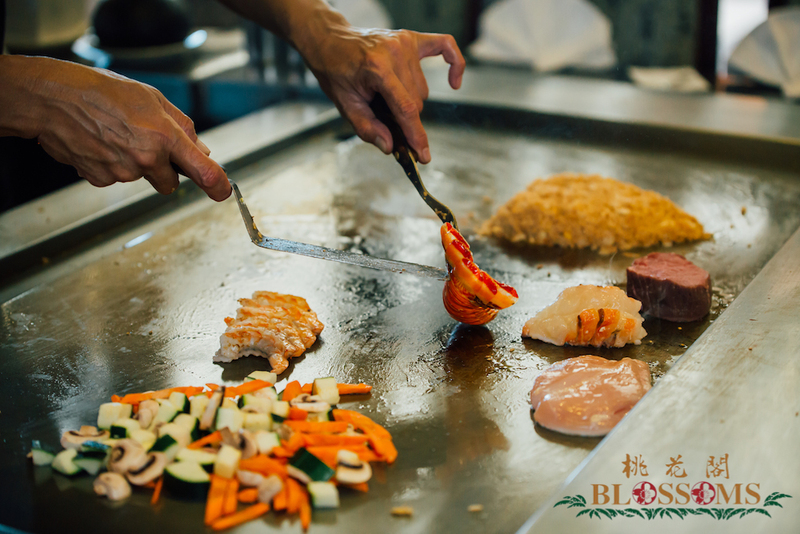 At Blossoms we use the Teppanyaki Table to display the culinary prowess of expert chefs by seating dinner guests in-the-round on three sides of the grill to watch their meal being prepared. This transforms your experience from merely having a meal to enjoying an entertaining presentation of Teppanyaki cooking! If you’re already a fan of Blossoms, we look forward to welcoming you back in our new location if haven’t been on the island recently. 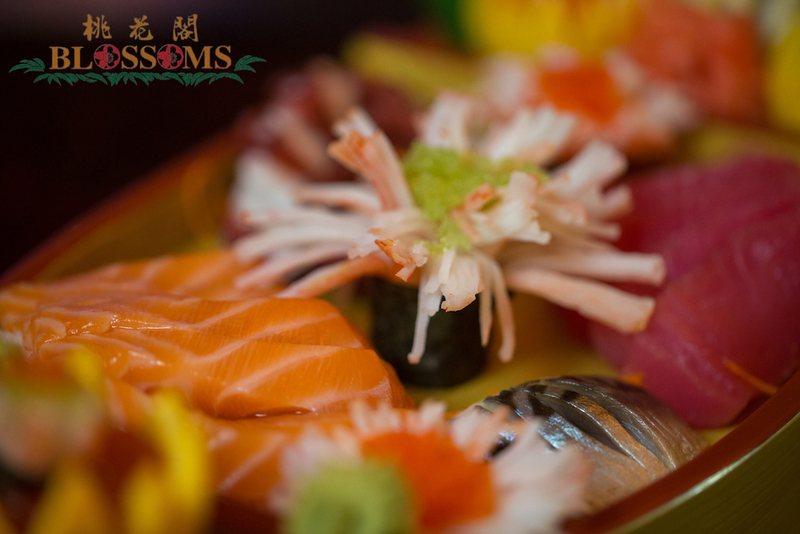 And if you’re new to Aruba let us show you how Blossoms gives you the best dining experience possible when it comes to Japanese and Chinese cuisine on the island! Call ahead for reservations at +297 586 3388 and browse our brand-new website recently launched at http://blossomsaruba.com.